1. 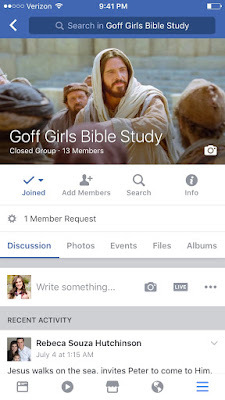 Goff Girls Bible Study- We set up a long-distance Bible study with all the women on my mom's side of the family for the summer and it has been just the best thing! We each take a turn posting a weekly reading and leading "discussion" and it makes me so very happy. This weeks reading included the story of Christ walking on water. In the past when I have read this story, I usually focused on how Peter can walk on water until he looks away from Christ at the storm and that's when he falls in. Something else I have studied in the past is when Christ immediately stretched forth his hand. But this time through, only one word stood out to me: Come. Peter saw Christ performing this absolutely miraculous feat- walking on water- and he thought to himself, I want to be like my Savior, I want to do that too. So he asked Christ for permission and Christ simply said, "Come." He didn't say, "You're not quite ready for this yet Peter." or "Notice how stormy it is, for your first time let's try it on a calm day." Nope, just "Come." Just, "Of course you can walk on water in a hurricane Peter, why couldn't you?" 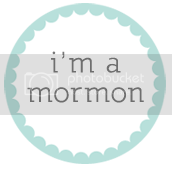 It made me think of all the good thoughts and ideas that have come into my head, things I want to do that would make me more like my Savior, but then I second guess myself and think, "That's too big or too good for me to handle. I can't be that good." But we shouldn't think that! We should have the faith Peter had and hear Jesus' calm voice. Come. And as long as your focus is fixed on Christ, Come. You can walk on water too. 2. Bride's Cake Bluebell Ice Cream- I threw all baby-weight loss caution to the wind and ate a bowl of this every.single.night while we were in Texas. Do whatever you have to do to get your hands on it. 5. Fox Cutting Board- My mom and sister snuck off to Paris for a week and brought me back this darling chopping board. 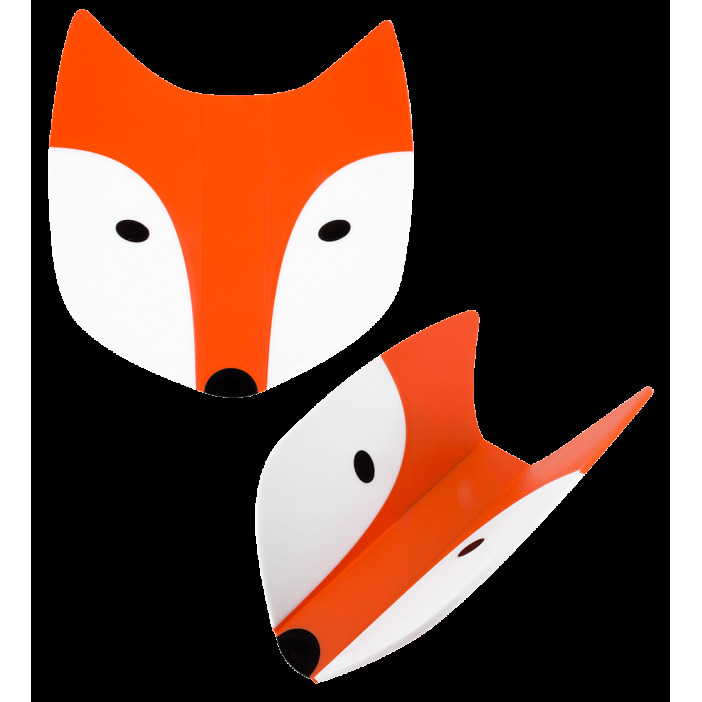 I know foxes are just trendy right now but I still can't help feeling that every time I am gifted an item with a fox motif, it was made especially for me! And probably my food will taste better when I use it because its from France. 6. My kids dance moves- Winston and Cosette went to Vacation Bible School at the First United Methodist church where Winston goes to preschool and it was maybe one of the best things that has ever happened to them. I will let them play that CD as many times as they want as long as I get to see these moves! and the second one of Trolls with my sister... can't pick a fave they both crack me up!